Sea air, stories and sunshine: Nothin’s more fun than messin’ around on someone else’s boat, while learning history! 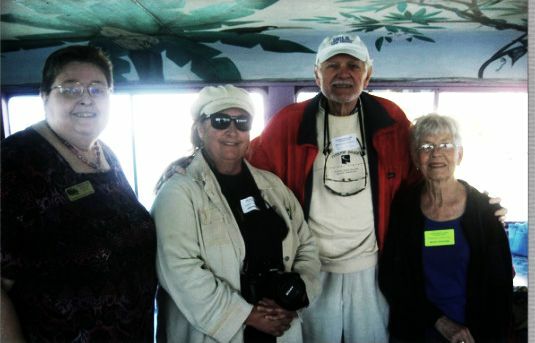 Join us for the NEXT Historical Sarasota Bay Cruise! 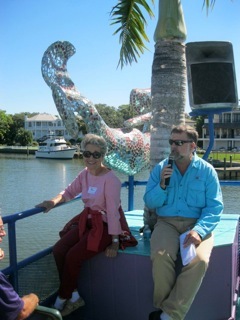 The Historical Society of Sarasota County hosts the landmark Historical Cruise and Tour of Sarasota Bay on the LeBarge tour boat the first Sunday in March and November each year (subject to change of course! ), and most dates fill to capacity quickly. Next available date will be Sunday March 4, 2018. To be sure to get your reservation in on time, you can stay in touch with us by following this blog (top of the right column on our home page) or by adding your email to our e-mailing list. Best choice? Both! That way you learn about what’s going on, and get reminders and offers in your email box. 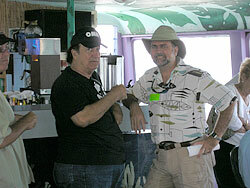 The cruise features narration by John McCarthy, local history expert and raconteur extraordinaire. John has a way of making history come alive to make us feel like we’re in the coastal waters of old Sara Sota. There will be a complimentary continental breakfast buffet with coffee and a cash bar. to learn more about the interesting adventures of Sarasota’s early settlers and the characters who helped make Sarasota the vibrant, cultural city that it is today. Tickets are $50 per person. A VIP pass is also available for $75 which provides early boarding privileges, thank you gift and a complimentary beverage coupon for the bar. Reservations are limited and available on a first come, first serve basis. For further information and to make reservations, please contact our HSOSC office 941-364-9076 Monday – Friday from 10a – 2p , or email us at hsosc1@gmail.com. 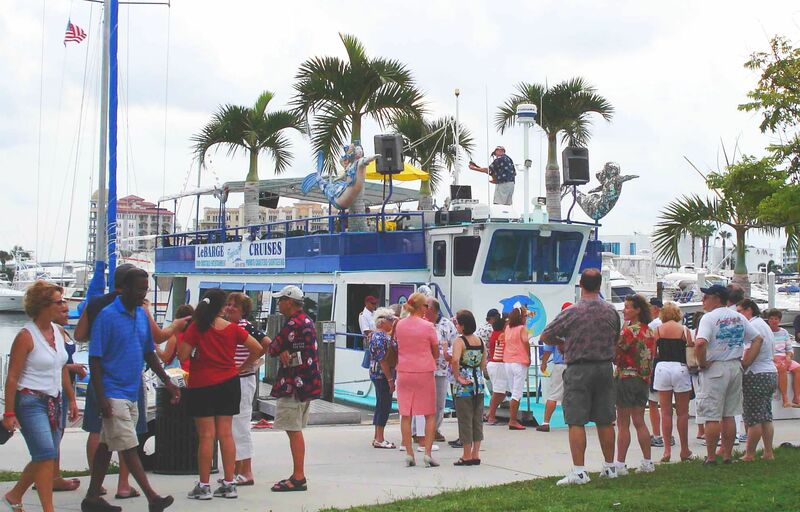 Your reserved tickets will be held for pick up at our check-in at the LeBarge slip, south of Marina Jack in Sarasota’s Bayfront Park, on cruise day by 10 am, rain or shine. All proceeds from the tour benefit the Historical Society of Sarasota County for maintenance and upkeep for the Bidwell-Wood House (1882) and the Crocker Memorial Church (1901). 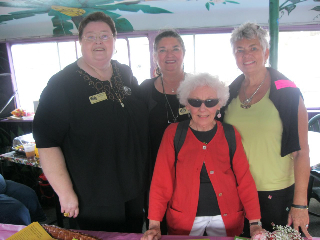 November 2014: Our newest board member Virginia Hoffman (second from left) enjoyed her birthday celebration on the cruise with other board members (l. to r.) BrendaLee Hickman , Bill Kleber, and Meade Ferguson. I would like to join you on the 6th of November for the cruise on the La Barge.. Terrific Shirley! Give Linda, our Site Manager, a call at 941-364-9076 to charge your seats by phone. She’s in the office between 10 and 2, weekdays.